Scrum is based on the test process control theory (Empirical Process, or so-called empiricism. Empiricism argues that knowledge derives from actual experience and observations in the current known circumstances. (Note that it is different from dogmatism, as well as fixed thinking based entirely on past experience, or partial empiricism that ignores theoretical guidance). “Transparency, inspection and adaptation” are the three pillars of experimental process control, supporting the implementation of each experimental process control. 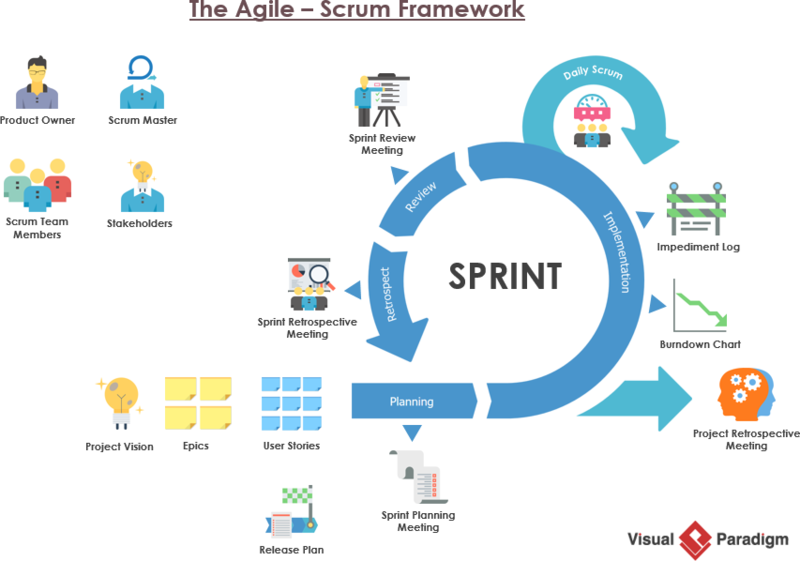 Scrum uses an iterative, incremental approach to optimizing future predictions and managing risk, creating an organization’s ability to respond to changes in agility to achieve better results. Scrum draws on lean thinking, timeboxing, and fully reflects the agile declaration and agile principles. 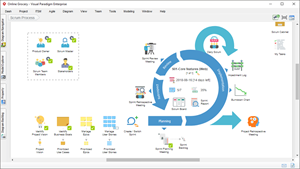 Scrum is a framework for developing and maintaining complex products through “view-and-tune”. 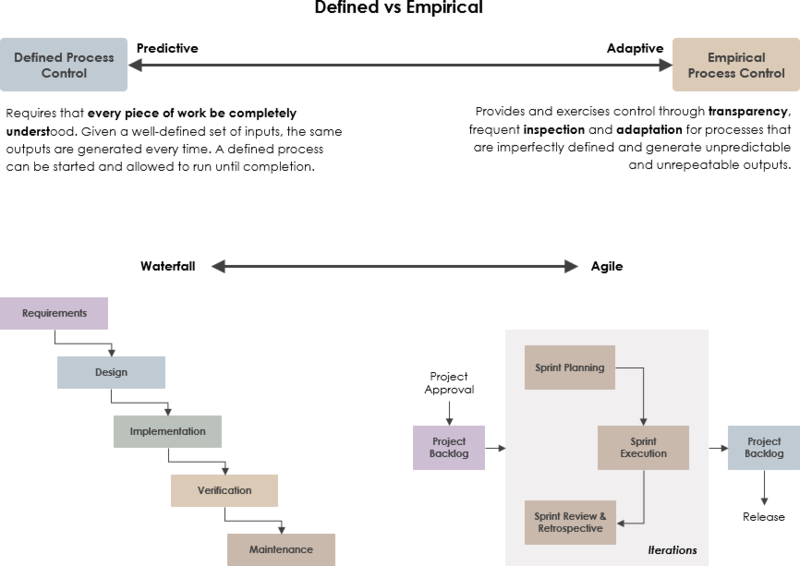 It is a genre that follows the agile declaration and principles, integrating three roles, three assets, five events, five values, referred to as “3355“. Length for each Sprint is 1 to 4 weeks. Use the Product Backlog to manage the product’s needs, which is a list of requirements sorted by value. In each iteration, the Scrum team selects the highest priority requirements from the product Backlog to work. The selected requirements are discussed, analyzed and estimated at the Sprint program activities to obtain the corresponding iteration goals and delivery plans, which we call the Sprint Backlog. There will be a standing Daily Scrum every day in the iteration. At the end of each iteration, the Scrum team will invite business and stakeholders to review potential product deliverables. The team then reviewed and continued to improve the way it works. 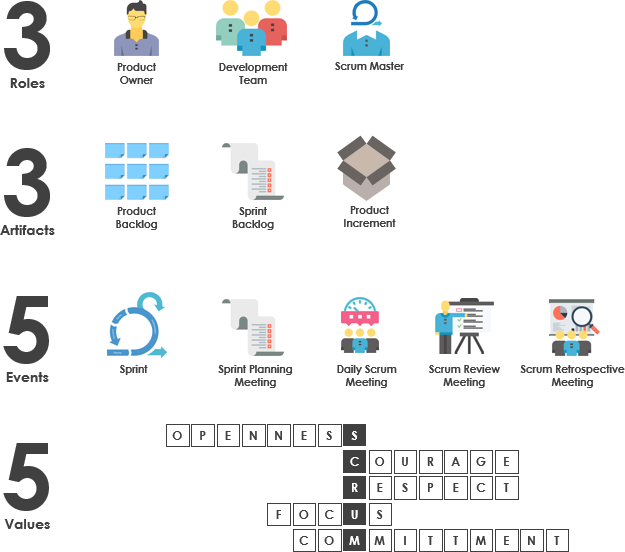 Scrum is not only suitable for software development projects, but also for any complex or innovative project and exploration, as well as organizational change design.